Nonetheless, the doctor did not entirely give up on propriety. The first poem was dedicated to the memory of his “unforgettable” wife. 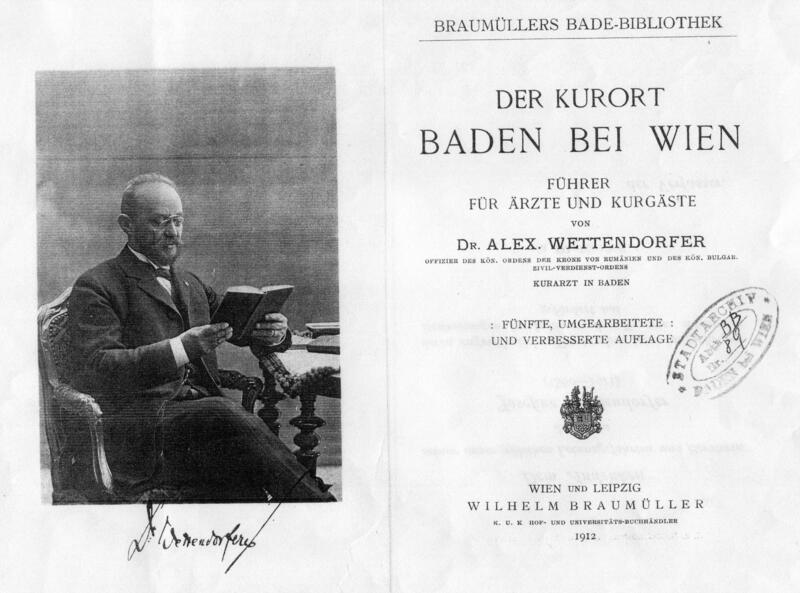 Dr. Wettendorfer lived a full life until his death age 75 in 1924. He had three daughters from his first marriage. Olga, the youngest, born in 1891, was my maternal grandmother. the Wettendorfer story makes fascinating reading. I hope to find out from the archives of the Vienna University, if he studied in Vienna. You might also find the odd notice on him in “Badener Zeitung” (online at http://anno.onb.ac.at). I’ m eagerly waiting for the continuations !